IWRA organised a webinar on “How Private Land Matters in Flood Risk Management” jointly with the EU COST Action LAND4FLOOD initiative. 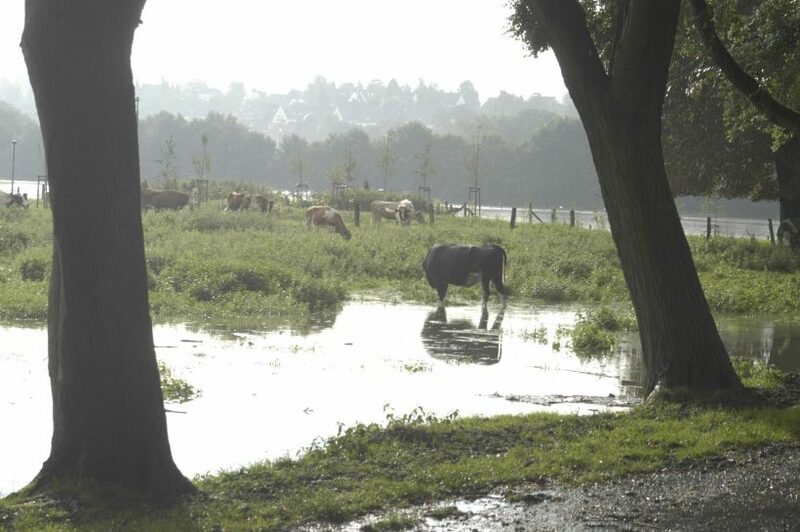 This webinar built on the IWRA’s Policy Brief authored by Professors Hartmann and Slavikova on How Private Land Matters in Flood Risk Management, produced in close collaboration with this same European initiative. The event was live streamed from the EU COST Action LAND4FLOOD workshop “Towards an Interdisciplinary Understanding of (Private) Land for Flood Risk Management” from Riga, Latvia (19-21 June 2018) devoted to understanding the relationship of land and water. During this dynamic event a number of case studies were presented and offered ideas for a number of special issues that further explored themes such as which policies and instruments are most effective for mobilising private land for flood risk management. One of the main issues focused on questions of scale, where small, medium, and large scale developments each contribute to building resilience. However, there are concerns when these developments have trouble engaging stakeholders and gaining their acceptance or when they come in conflict with other areas of public policy. All the panelists were able to highlight the importance of using private land for the public purpose of preventing damage from floods. The panel left us asking what are the most effective methods at any level of government (local, state, national) and geography (riparian or basin) to use policy and law to encourage the private use of land for flood prevention. Over 60 registrants participated in this webinar, while distinguished speakers included Thomas Hartmann (Wageningen University & Research, Wageningen, The Netherlands); Jochen Schanze (TU Dresden & Leibniz Institute of Ecological Urban & Regional Development, Germany); Simon McCarthy (Flood Hazard Research Centre, Middlesex University, UK); Lukas Löschner (University of Natural Resources and Life Sciences, Vienna, Austria); and, Lenka Slavíková (Jan Evangelista Purkyně University, Ústí nad Labem, Czech Republic). This webinar was moderated by Scott McKenzie, PhD Candidate, University of British Columbia. Presentations will be available shortly.